After years of surgically treating breast cancer, Dr. Shelley Nakamura is eager to focus her expertise on counseling patients on its prevention. She is a fellowship trained breast surgeon who completed her Breast Surgery Oncology fellowship at the University of Southern California. She is a published author of several articles regarding breast cancer and has contributed to a book chapter by the nationally renowned breast surgeon, Dr. Melvin Silverstein. A native of Arizona, Dr. Nakamura is a graduate of the University of Arizona with a degree in Molecular and Cellular Biology. 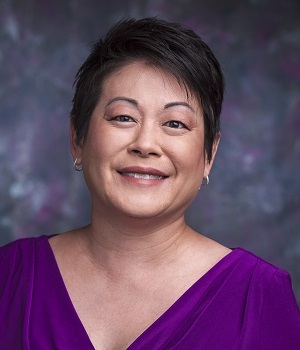 After obtaining her medical degree from Tulane University School of Medicine, she completed her General Surgery residency at Hahnemann Hospital in Philadelphia.In her spare time, Dr. Nakamura enjoys reading a good book, Pilates and being with her family. Dr. Nakamura sees patients at the North Phoenix location. Please call for an appointment at (480) 922-4600. The Cancer Prevention Clinic is such a long awaited necessity. It allows women and even some men who have a higher than average risk for breast cancer to actually now be proactive with more intense screening, genetic counseling, availability to clinical trials focused on this group of women. Our goal is prevention.